UWC’s Professor Ndiko Ludidi has shown that the knowledge generated in university laboratories can make a very tangible difference in the real world. Ludidi, of the Department of Biotechnology at the University of the Western Cape (UWC) and funded by the Centre of Excellence in Food Security (CoE-FS), illustrated this when he and his Plant Biotechnology Research Group (PBRG) collaborators – Dr Marshall Keyster of UWC, and Dr Ifeanyi Egbichi at Walter Sisulu University in Mthatha – assisted a group of smallholder farmers, led by a former UWC student Sisiphiwo Dingana, to remodel the practices on their small-holding collective farm. 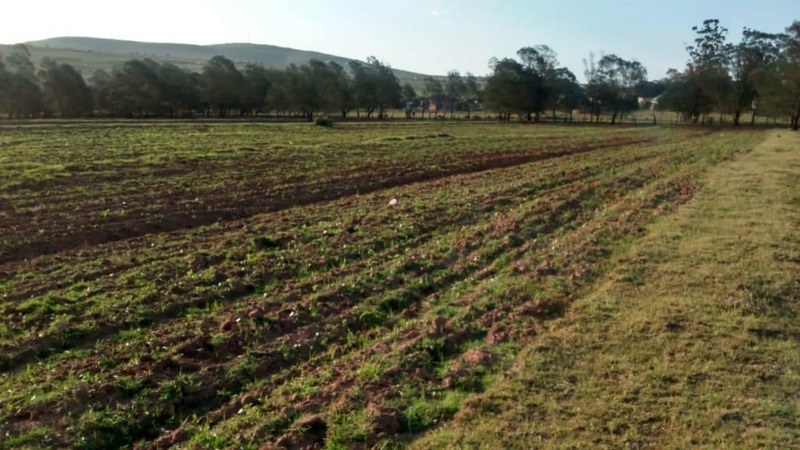 The UWC researchers are currently helping the farmers, who run a small-scale cooperative named DI Farms in Mthatha in the Eastern Cape, improve their farming practices. As a result, DI Farms could soon become a major producer of soybean in the province. The first thing that Ludidi did in 2017, when he first started working with DI, was introduce planting practices that would improve the health of their soil. This meant the adoption of additional crops – their focus was very much on vegetables – such as sorghum, maize and soybean. Other than that it fetches a much better price than, say, maize, the soybeans was also a key crop for its role in enriching the soil. Soybeans, it is well known, is very good at trapping nitrogen in the air, feeding it through its roots into the soil. Here microorganisms, in a process called nitrogen fixation, convert the nitrogen into ammonia and other nitrogen-related compounds that plants do use. This, explains Ludidi, eliminates the need for nitrogen fertilisers as the nitrogen is provided by the soybeans themselves. Ludidi also recommended the use of both drought-tolerant soybeans and soybeans that were very sensitive to drought, i.e. needed regular watering. That benefitted both Dingana, who wasn’t irrigating his fields, and the UWC group who could now see how the different soybeans fared outside of a lab environment. 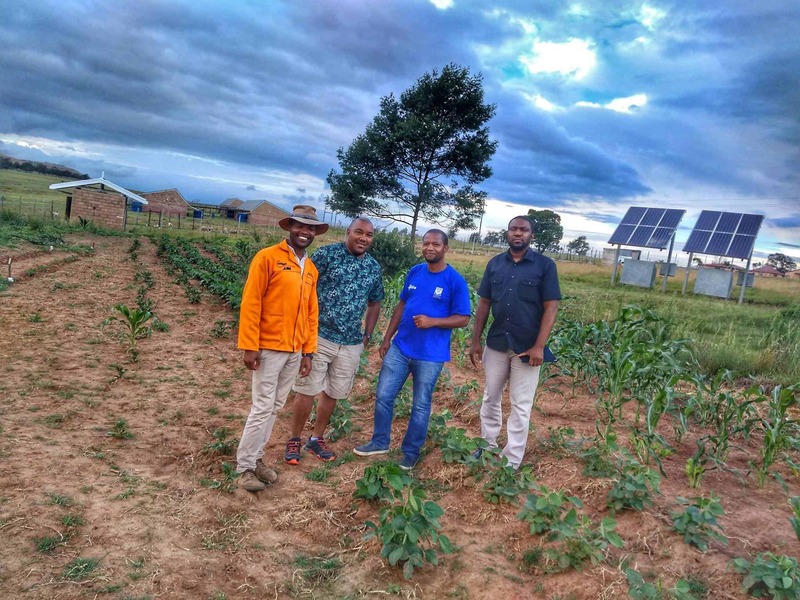 So successful was the collaboration that Dingana has now started planting soybeans – using the seeds from the 2017 crops – into a larger patch of land, around four hectares in size. (An international-standard rugby field measures about one hectare.) In addition, DI Farms has also secured funding to expand its soybean production beyond that. Ludidi and others in the PBRG have also since the inception of the partnership also given seminars on self-sufficiency in the town, and spoken to youth at the schools on issues of food security. While capacity is limited, Ludidi would like to see collaborations like his with DI Farms scaled up substantially.